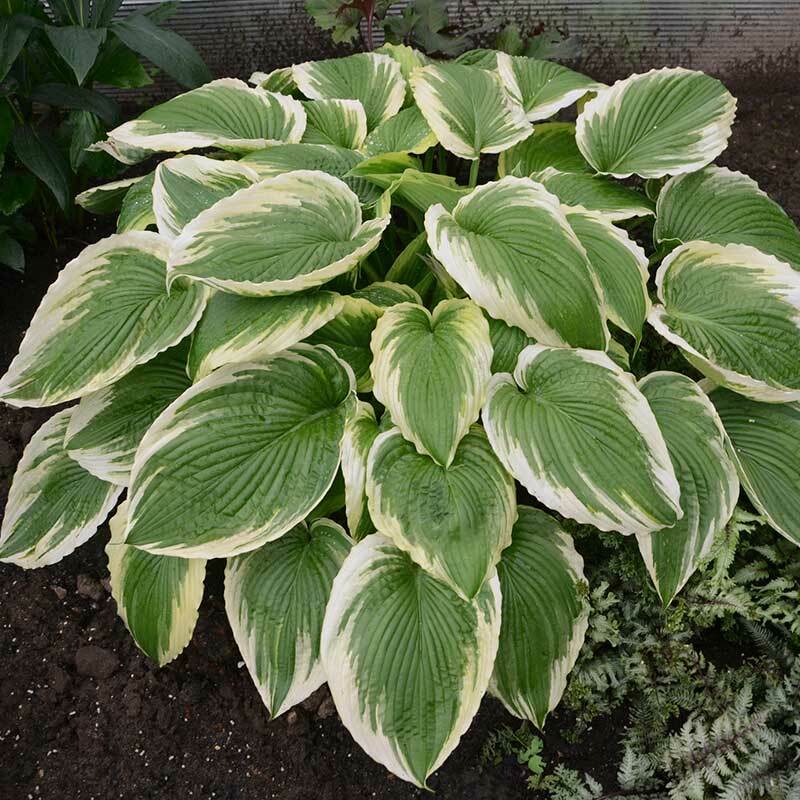 All Hostas are Zones 3-9. 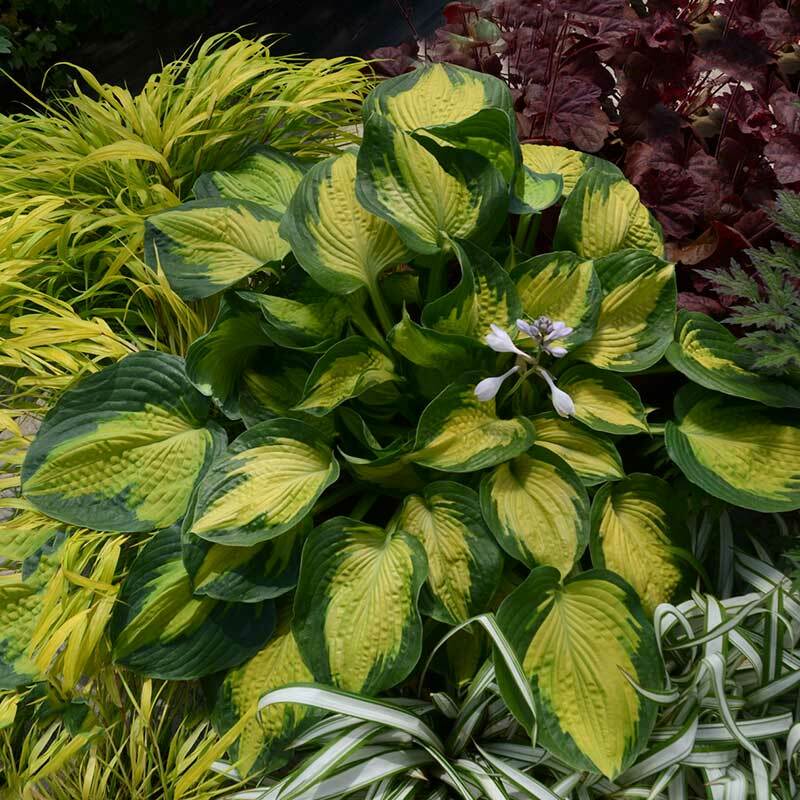 Long lived, carefree, shade tolerant plants with beautiful leaves, hostas keep their tidy look all season and come in all sizes. Stalks of white to lavender, lily-like blooms appear midseason. 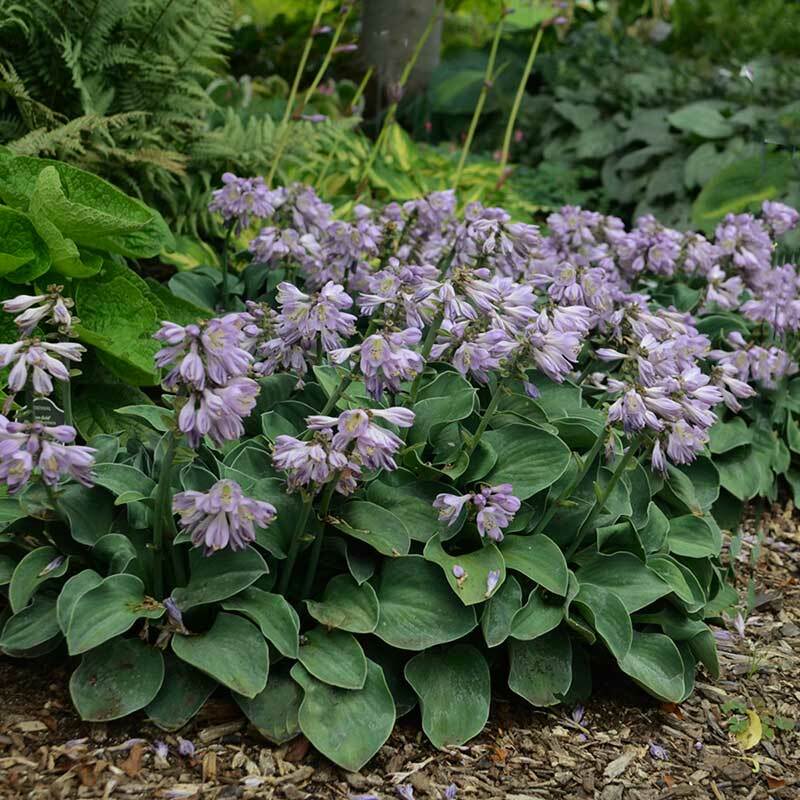 One of the easiest plants to grow and divide, they like well-drained soil and are shade loving with some varieties tolerating sun. Dark blue-green seersucker leaves in a cupped form. 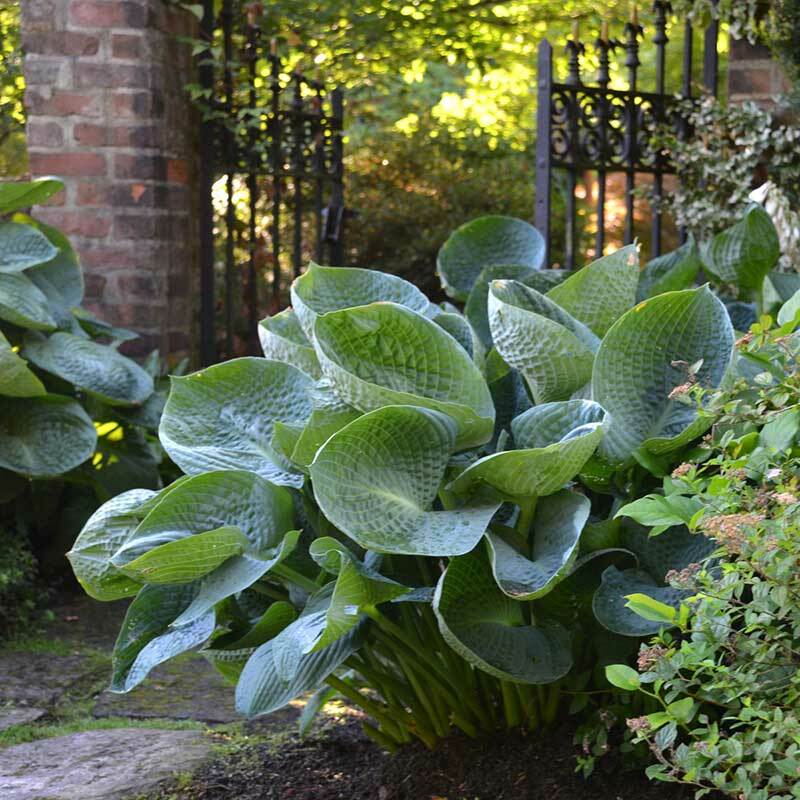 Coarsely textured mound of leathery, puckered, heart-shaped leaves. Wide, blue-green margins with chartreuse centers. White flowers. A tough, durable variety that has wide, dark margins and a creamy white center speckled with green. Lavender flowers. Forms a rounded mound of cascading lime and dark green striping. 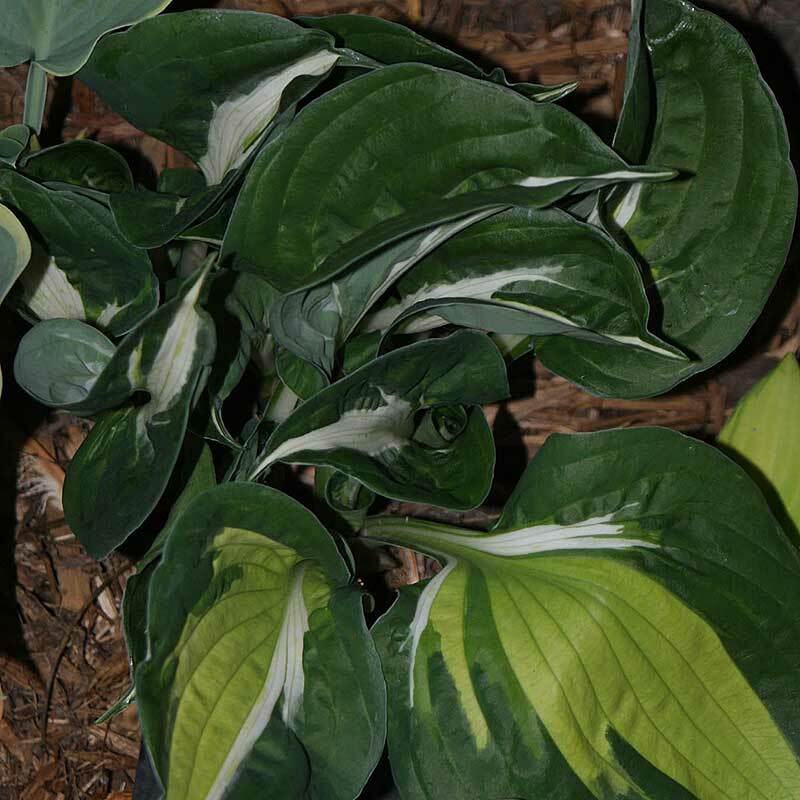 Very showy with leaves that emerge frosty blue with wide yellow margins and then turn green with creamy white margins. Lavender flowers. Solid blue, large, textured leaves. Easy to grow. Lavender flowers. 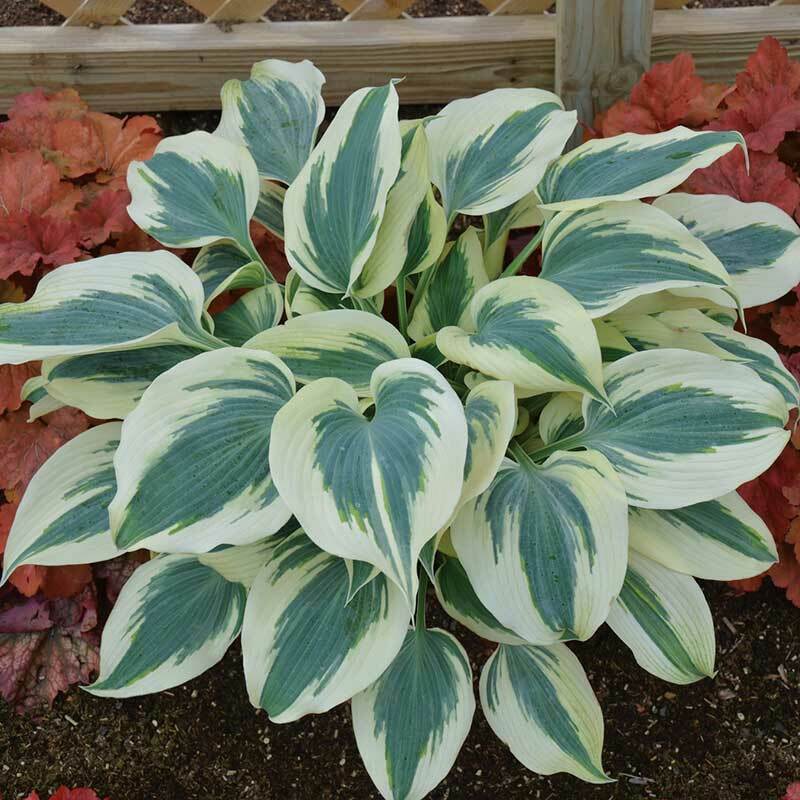 Wide, creamy margins with a blue center that brightens to a green blush edge and blue-green center in summer. Lavender flowers. 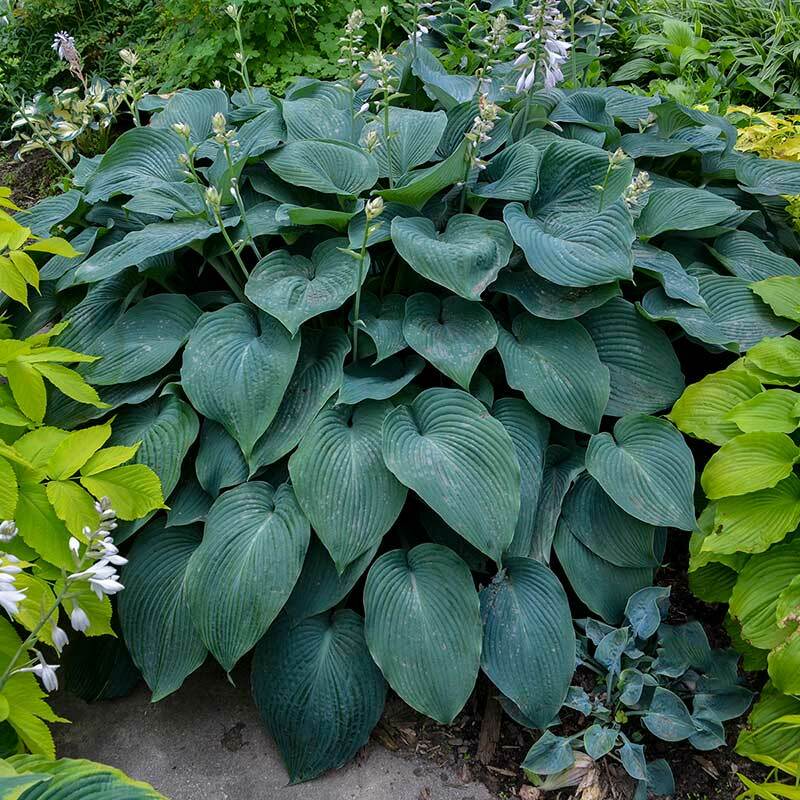 Small hosta with thick, heart-shaped, blue-green leaves. Perfectly shaped mound. Clusters of lavender bell-shaped flowers. 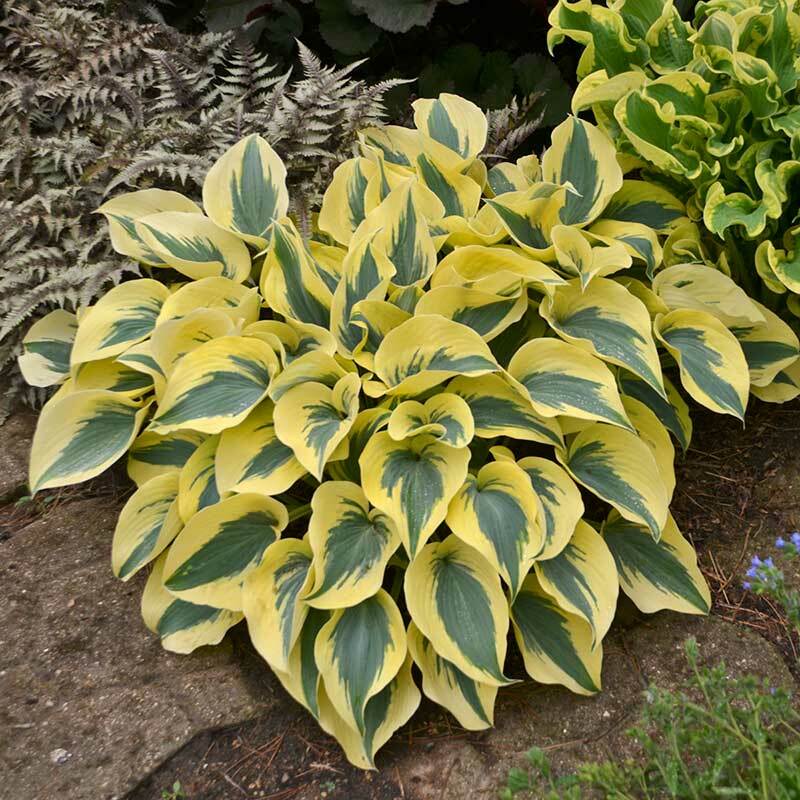 Cascading mound of wavy, heart-shaped leaves, green with pale yellow margins. Light lavender flowers. 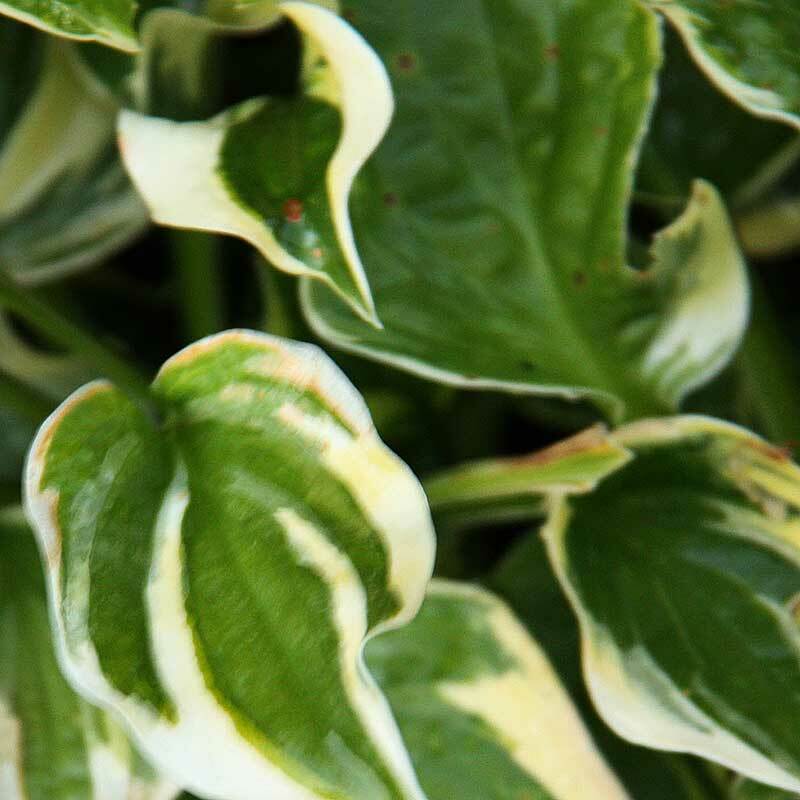 This vigorous tokudama type with thick heart-shaped leaves is probably the best variegated tokudama on the market. Puckered gold leaves with a streaky blue margin draw garden visitors like a magnet. 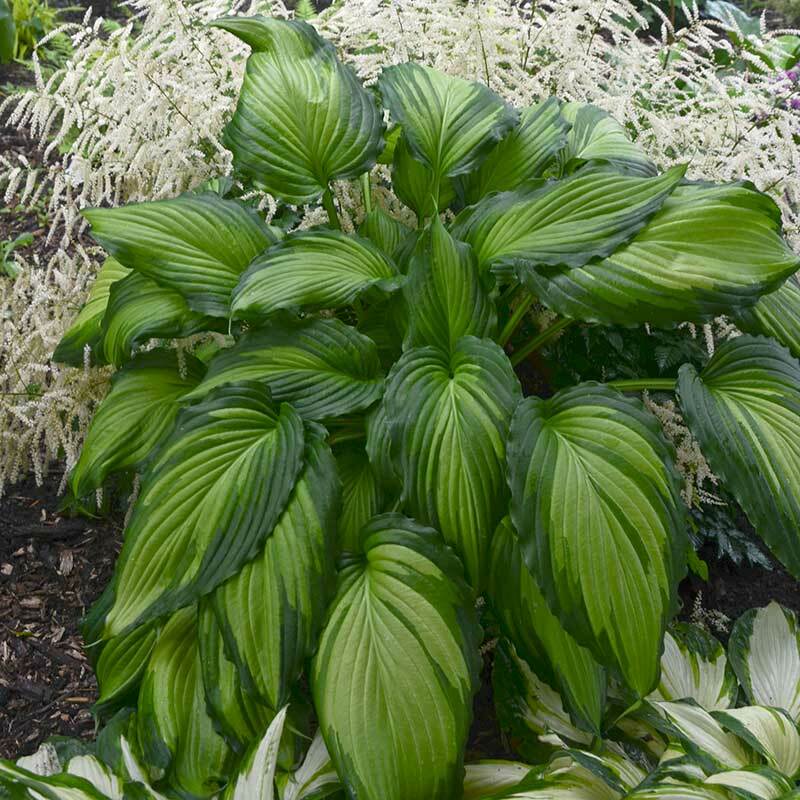 This choice hosta has white bell shaped flowers in mid-summer. 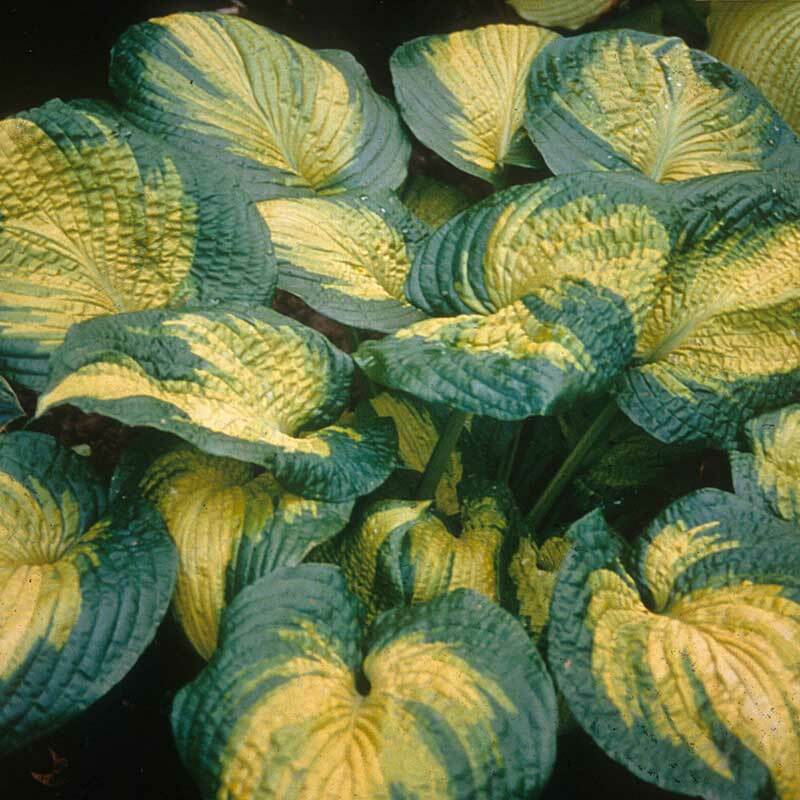 Brim Cup boasts rich green cupped seersucker leaves with wide irregular white margins. 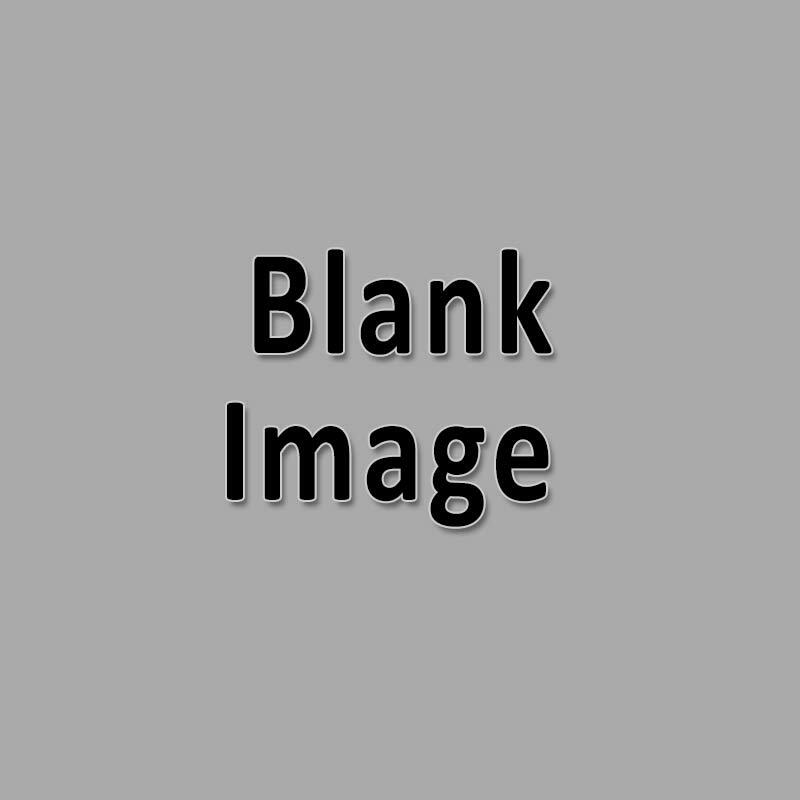 It quickly forms a mature specimen plant. Lavender flowers in mid-summer. 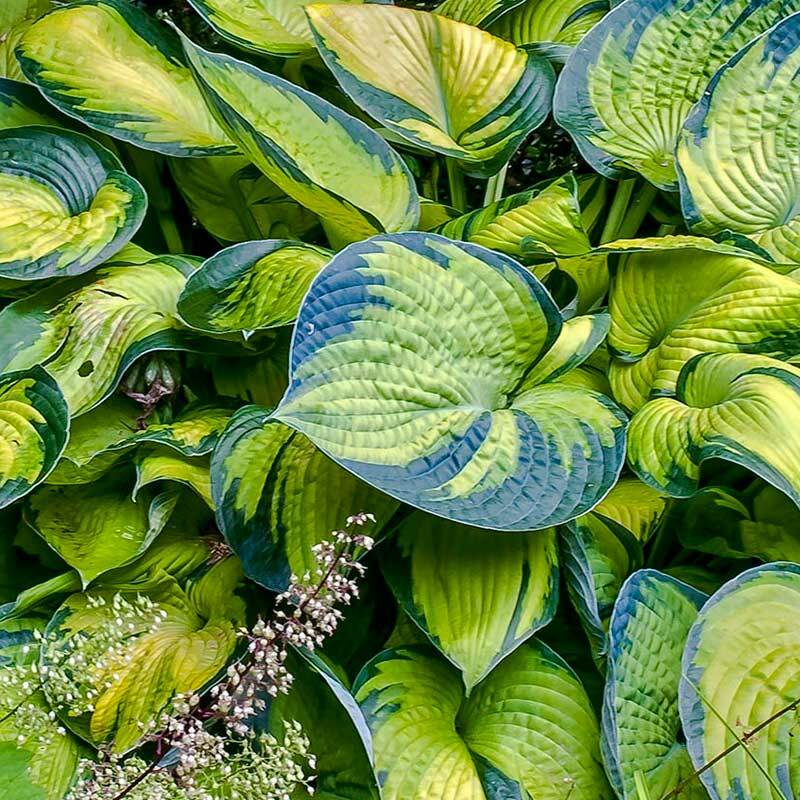 A favorite of hosta enthusiasts with its large clump of thich, corrugated, puckered chartreuse and blue margined leaves. Near white flowers.